SLA Engine in the VI Service Desk - VIS, Inc.
Providing timely, mutually agreed upon services to end users/employees is at the very heart of a successfully managed IT department. SLA’s track the performance of your services. They help you identify services that are slipping and in danger of becoming past due. 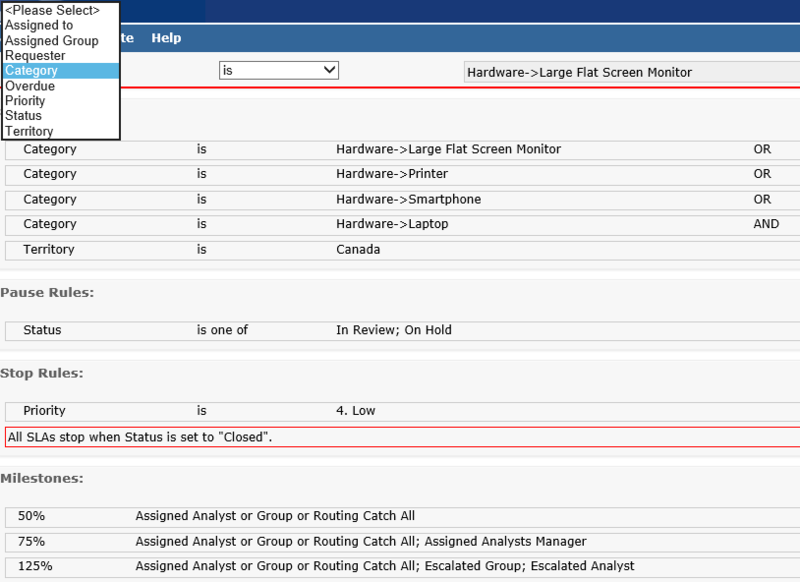 Below is a screen example of a Request based SLA. SLAs can be applied to an Incident, Request or Change. One of three SLA types may be selected to properly document the SLA (SLA, OLA, UC). Service duration can be tracked based on 24/7, or your Serivce Desk's operating hours. The VI Service Desk’s conditional based rules provides for custom SLA’s that meet your organization’s exact requirements. Rules can be set to determine when a SLA is started, paused, and stopped. 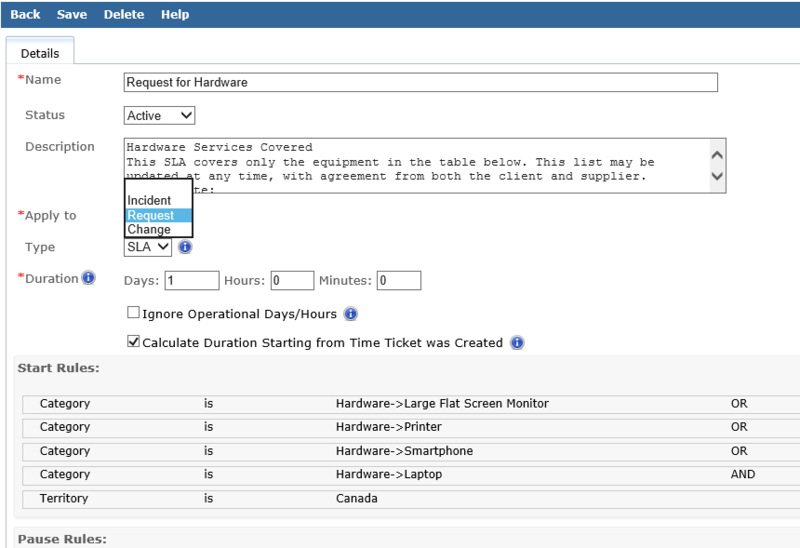 The ability to set Milestones based on a percentage of the elapsed SLA duration allows for notifications to be sent to all associated parties at critical times in the service process (see screen example below).